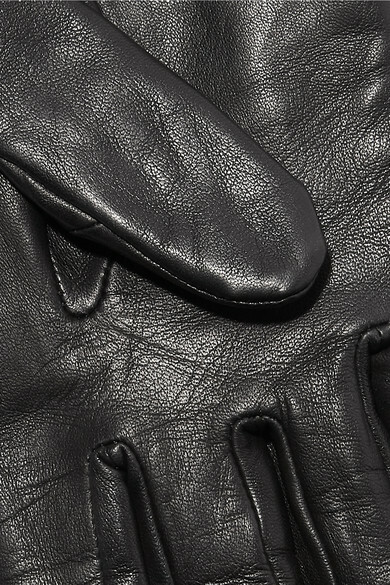 Agnelle's classic black gloves are the kind you'll be wearing for years to come - the soft, supple leather will only get better with age. Crafted for a slim fit and longer length, they sit neatly underneath coats and jackets without exposing wrists to the cold. Try them with a camel scarf on really chilly days. 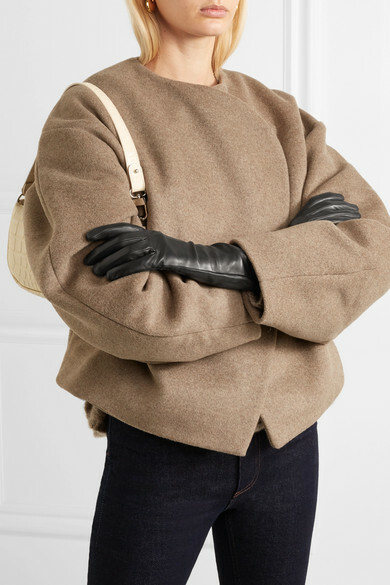 Shown here with: Totême Jeans, Totême jacket, Totême Sweater, BY FAR Shoulder bag, Stuart Weitzman Ankle boots, Sophie Buhai Earrings.